Editor's note: Yet. 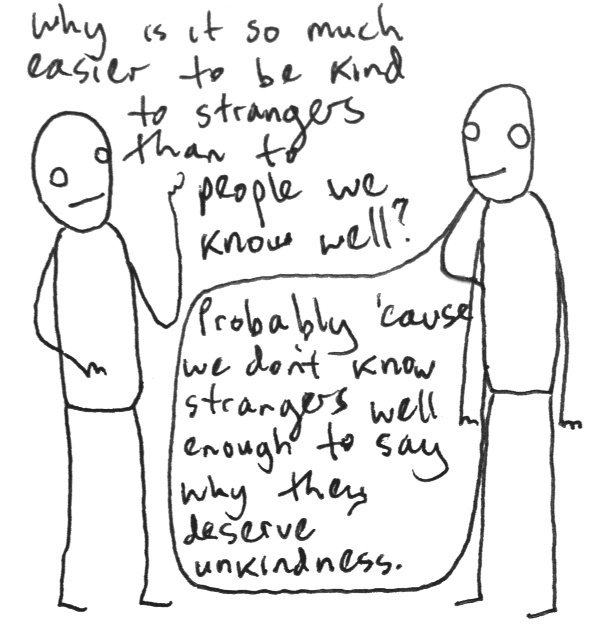 We don't know yet why they deserve unkindness...but when we find out, they'll no longer be strangers. On a more serious note, everyone "deserves" unkindness for something or other; good human beings realize that forgiveness has the same ability to place all on even footing, but without requiring everyone to suffer more than they already have. There, there's my sermon for the day.